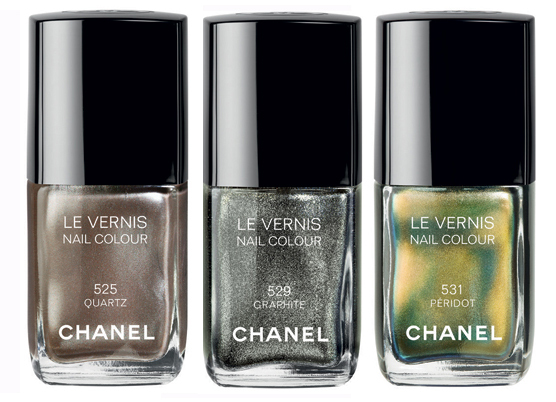 It’s a while since I’ve done a lust have, but Chanel’s new Colour Illusions nail polish range is certainly lust worthy. There’s lots of buzz about these limited edition nail polishes and I can see why. These gorgeously shimmering and iridescent polished form part of Chanel’s Autumn 2011 line and are right on trend. AW 2011’s nails have a space age feel – shades of pewter, bronze, silver… basically anything earthy and metallic. Unfortunately, at £17.50 they might have to remain a lust have, but watch out for copy cats popping up all over the high street.